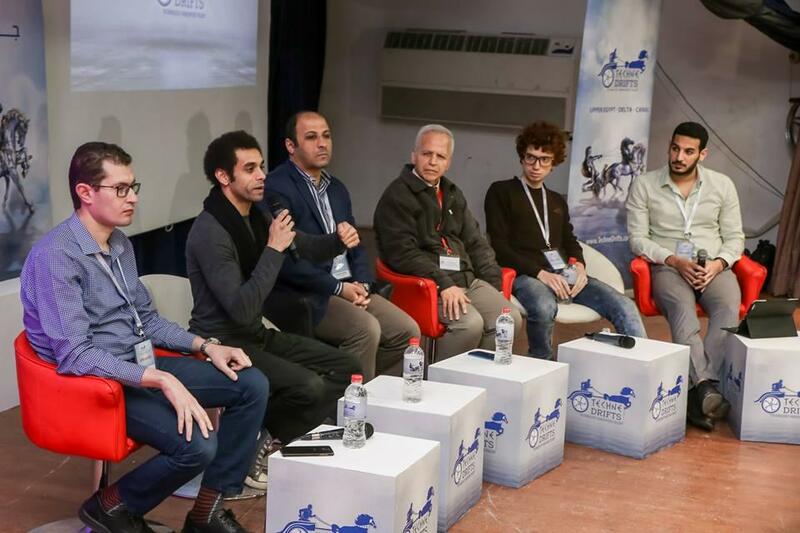 Techne Summit | KD G..
Tarek El Kady is a leading entrepreneur in his native Alexandria, Egypt. Born and raised in Alexandria, Tarek has worked in the U.S. as a part-time web designer before launching his first company called WebArchitect. After a successful decade in this business, he launched Markade which focuses on marketing, advertising and branding. 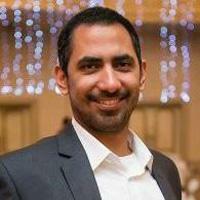 Eventually, he started Cactus which is an event management and on ground activation agency. Lastly formed KD Group which manages the operations of the three agencies and their clients which are local, regional and global. 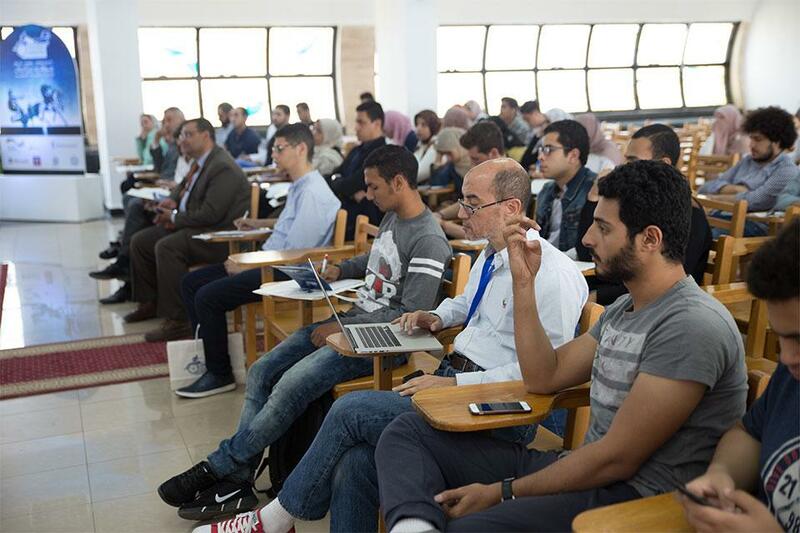 Last year, Tarek shook up the technology world by hosting two episodes of Techne Summit in Alexandria (October 2015 & May 2016). Techne Summit is a two-day international entrepreneurship technology event that acts as a platform including the main global players in the technology industry, namely: industry professionals as speakers, technology businesses, entrepreneurs and startups, investors, users and media representatives. In December 2016, Tarek announced the launch of â€œAlexandria Angelsâ€, the first Alexandria based Angel Network. Consisting of a select group of founding members, all experienced in business and enthusiastic about entrepreneurship in Alexandria, the newly established network seeks to invest in promising, high-growth startups in Alexandria and the Nile delta region from mid next year onwards. The announcement came during the opening of Rise Up Summit, the leading entrepreneurship event in the Middle East and Africa. 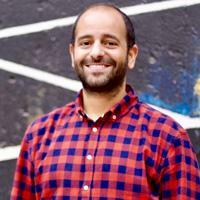 Tarek is passionate about helping young people start their businesses. 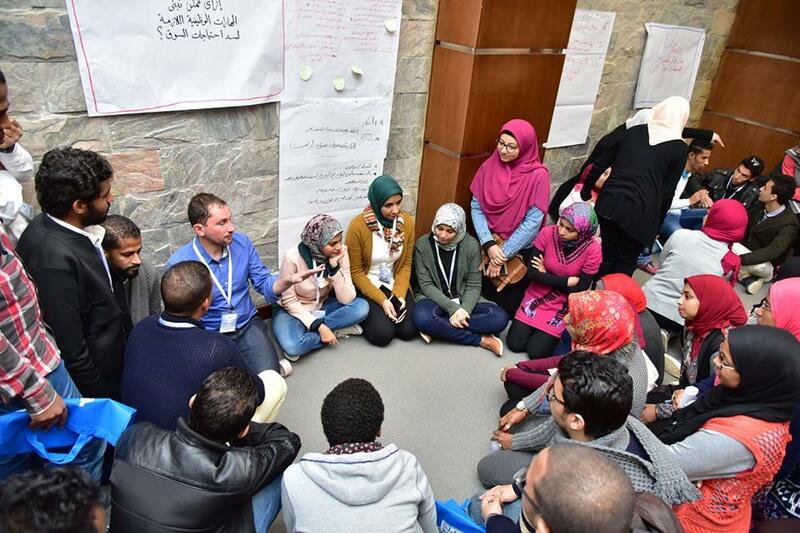 As Founding Curator of the Global Shapers Community Alexandria hub, he spends much of his time â€œgivingâ€ to the next generation of business owners in the region. 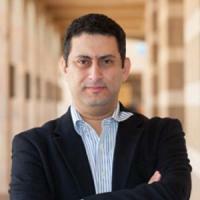 Khaled Ismail is the Willard W. Brown Chair at the American University in Cairo (AUC) for the academic year 2014-2015. He is also the head of the African Academic Association on Entrepreneurship. Ismail is the Founder and Chairman of KIangel, an angel investment fund focused on investing in early-stage startups in the Middle East. The fund has invested in 11 companies since 2011 and is still growing. Ismail is a serial entrepreneur who has started 7 companies in Egypt since 1992. His latest company, SySDSoft, which is a technology company focused on the design of wireless communication system modems, was acquired by Intel in March 2011. 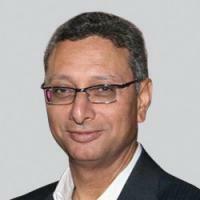 Ismail became thereafter and until January 2014 the Managing Director of Intel Mobile Communications. 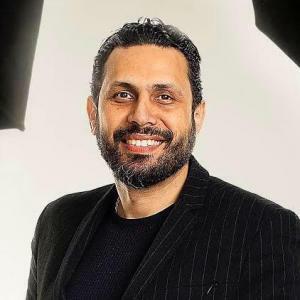 Ismail was the Chairman of Endeavor Egypt between 2011 and 2014, board member of Orascom Telecom (2004-2011) and board member of the IT Industry Development Authority (2009-2012). 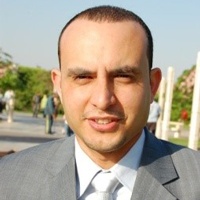 Between 2005 and 2007, Ismail was the Senior Advisor of the Egyptian Minister of CIT, responsible for Technology Development. Between 1997 and 2000, Ismail was the Managing Director of Gemma, a company specialized in Ceramic manufacturing, which he managed to take public in 1998. Ismail was with IBMs TJ Watson Research Center in NY. He is the recipient of the IBM Invention Achievement Award and the IBM Outstanding Technical Achievement Award in 1997 and 1995, respectively. Ismail received his Ph.D. from MIT in 1989. He has been an IEEE Fellow since 1997 and has published over 160 papers in international journals, and is the holder of 22 US patents. He was the recipient of the Eta Kappa Nu Best Young Electrical Engineer in the US award in 1994, and the Shuman Award for the Young Arab Engineer in 1995. In addition to his role as CEO of the non-bank financial institute, Walid Hassouna is also a non-executive board member of Tanmeyah microenterprises and EFG Hermes Leasing, both subsidiaries of EFG Hermes Finance. Vice Chairman of EFG-EV fintech accelerator, board member of Karm solar and Kazyon hard discount stores. 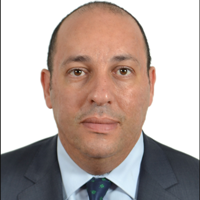 Prior to joining EFG Hermes in 2016, Walid Hassouna was General Manager and Head of Structured Finance and Investment Banking at Bank Audi, where he closed structured and project finance transactions in excess of USD 15 billion over a seventeen-year banking career that began at Misr International Bank. 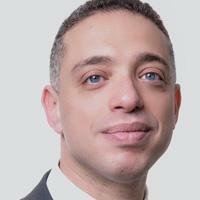 He also structured and executed several award-winning deals, in project finance and M&A within Egypt and GCC, in addition to several investment banking transactions. He has also been the Head of structured finance and syndication in Banque Misr where he successfully managed to top the league table of the MENA region in syndicated loans. Walid is a Cairo-University B.B.A holder, where he graduated with highest honors. He also holds an MBA from J. Mack Robinson College of Business, Georgia State University as well as Islamic Finance Qualification from CISI- UK. 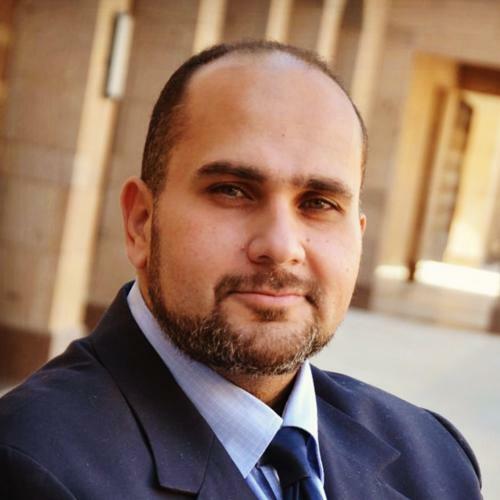 Dr. Ayman Ismail is the Assistant Professor and Abdul Latif Jameel Endowed Chair of Entrepreneurship at the American University in Cairo School of Business. 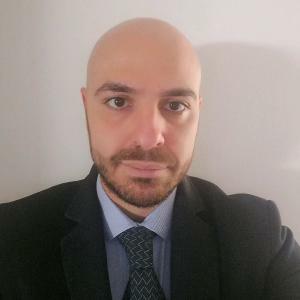 His research focuses on entrepreneurship venture capital and private equity in emerging markets economic development in the Middle East industrial strategy international technology diffusion and knowledge transfer to developing countries technology policy and innovation energy and food security and political economy of development. Dr. Ismail is a former Research Fellow at the Belfer Center for Science and International Affairs at the Kennedy School of Government in Harvard University. He received his PhD in International Economic Development from the Massachusetts Institute of Technology (MIT). He also holds a bachelor degree in engineering and an MBA from the American University in Cairo, and a master in city planning and geographic information systems from MIT. He is also a co-founder and Managing Partner in Enovio, a management & strategy consulting firm operating in the US and the Middle East. Prior to that, he was a consultant in McKinsey & Company Business Technology Office, based in New York for several years. Dr. Ismail has advised senior management in leading Fortune 100 companies, fast-growing startups, government agencies, and non-profits on key organization, operations and technology issues. He has also consulted and conducted research for international organizations such as the World Bank and UNCTAD, as well as multiple US government agencies. Dr. Ismail has a broad multidisciplinary experience in economic development, business strategy, city planning and technology based on professional practice and academic research. Dr. Ismail is a co-founder and member the Board of Directors of Nahdet El-Mahrousa, a leading NGO incubating social entrepreneurs and social ventures targeting economic and social development issues in Egypt. 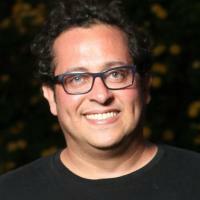 He is also an Endeavor VentureCorps Mentor, advising entrepreneurs. "Mohamed Shehab Eldin www.mohamedshehabeldin.com â€¢	Mr. Shehab brings in 17 years of experience as a social entrepreneur, Consultant, Executive Coach, Facilitator and an International Speaker focusing on Leadership, Strategic planning, Conflict Resolution, Negotiation â€¢	He is the founder of RESOLVE consulting and AL-SHEHAB & Partners â€¢	A confounder of: o	AL-SONBOLAH Textile o	Newstar Textile o	AGRICYCLE for agricultural waste energy â€¢	A co-founder and a former board member of Nahdet El-Mahrousa, leading social enterprise incubator. â€¢	The Founding Curator of the Global Shapers Community- Cairo Hub, established by the World Economic Forum. â€¢	Currently Lectures at the American University in Cairo, Business school â€“ School of Executive Education. â€¢	Previously taught at: o	The Institute for Peace Studies o	Canadian International College o	Modern Sciences and Arts University â€¢	Lectured at: o	George Mason University o	American University in Washington o	Vienna University o	The Institute for Peace Studies â€¢	Holds: o	Masters degree in International Conflict Resolution from the University of Notre Dame in the USA o	Bachelor degree in Business Administration and o	A certificate in economic and political studies from Georgetown University o	A Diploma in Negotiation and Conflict Resolution from Erasmus University in the Netherlands." Experienced Chairman with a demonstrated history of working in the venture capital and private equity industry. Skilled in Business Planning, Entrepreneurship, Venture Capital, Asset Management, and Management. 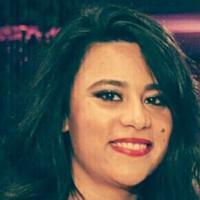 Strong entrepreneurship professional with a BSC Engineering focused in Architecture from Alexandria University. Tamer Azer is an entrepreneur and business builder. 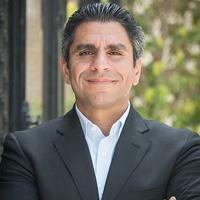 Prior to joining Sawari Ventures as a Principal; he co-founded startups and worked closely with entrepreneurs in several different countries across 8 industries. Tamer started his career working at the forefront of policy making with one of the world’s most influential business designers at The Institute for Competitiveness and Prosperity; working to redesign economic, innovation and entrepreneurship policies. He later joined global innovation strategy and design firm Fahrenheit 212 as a Senior Innovation Consultant. In 2016 he joined A15 to lead investments and venture development, working to deliver and create meaningful impact in the Egyptian entrepreneurship ecosystem. Tamer received his Bachelor’s degree from the University of Toronto and his Master’s degree from the University of Oxford and is also an On Purpose Fellow. In his spare time he enjoys to ride around Maadi on his neon yellow bicycle. 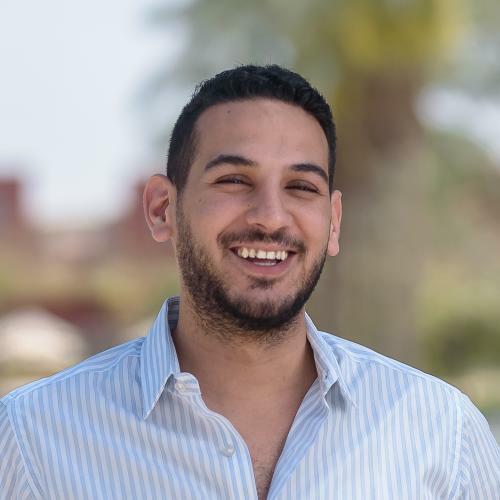 The founder and president of the Egyptian Fintech Association, a non-profit organization that serves equitable economic growth through FinTech and entrepreneurship in general. 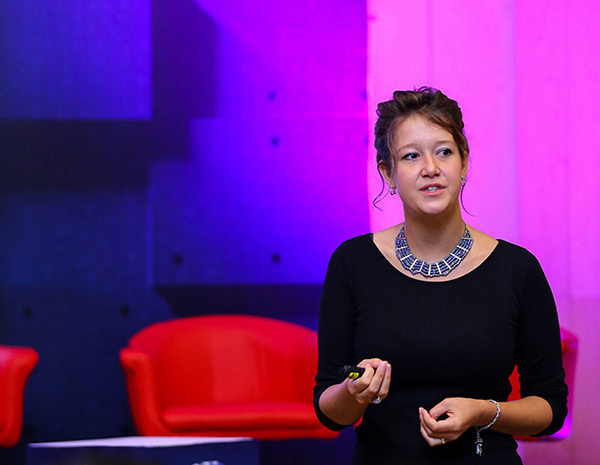 Noha Shaker is also the Head of Digital Ventures and Strategic Alliance at CIB, where she manages FinTech innovation and the supporting ecosystem of partners. Over the past 18 years, Noha has held previous positions in banking such as head of business development & product innovation, as well as head of Operational Quality Assurance and customer experience. Noha is also a management consultant who has worked on various key projects within the region across various industries including Tourism, Transportation, Energy, Telecommunications and Financial Sector. She is also an active member of the entrepreneurial ecosystem in Egypt and Africa, mentoring many successful and promising start-ups collaborating with various programs and foundations. 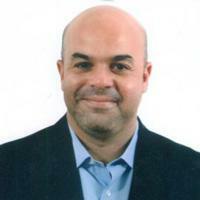 Mohamed Hamza is the manager of the American University in Cairo business accelerator, the AUC Venture Lab (V-Lab). 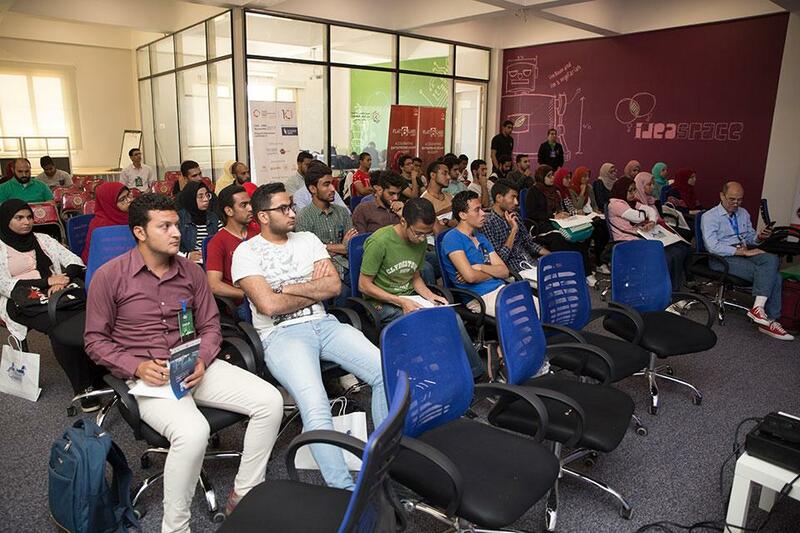 AUC Venture Lab is the first university based Accelerator in Egypt, it provides early stage startups with business training, Business Mentoring, connections with Investment opportunities and Access to AUC Faculty, Facilities, students as well as a co working space. Hamza co-founded two new acceleration programs under the V-Lab; the Fintech Accelerator and the Investment Accelerator in addition to that he also co-founded AUC Angels. Hamza efforts were crowned by receiving the High Impact Incubation Program award for the Middle East & North Africa by University Based Incubator Index, Sweden (UBI). Mohamed Morsy currently is the Country Head of Finance in Motion (“FiM”) in Egypt and Yemen. FiM is a German asset management firm, based in Frankfurt, with 18 offices around Europe and the MENA region. FiM is the fund advisor for the Green for Growth Fund (“GGF”) for Renewable Energy & Energy Efficiency and the SANAD Fund for MSMEs, with assets under management nearly EUR 2bn. 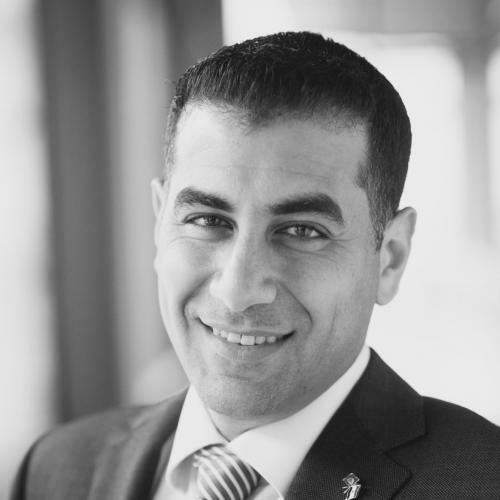 Mr. Morsy has extensive experience in the areas of investment banking, credit risk management and corporate lending, both locally and regionally. Before joining FiM in 2012, Mohamed was an investment banking manager at Prime Capital (2011-2012) and Head of Credit (Cairo) at Egypt’s second largest private bank - Arab African International Bank (2005-2010). Mohamed holds a Masters in Investment Banking and Islamic finance from Henley Business School (UK) and MBA from the University of New Brunswick (Canada). M. Morsy is also a Chartered Islamic Finance professional and is currently working towards his Chartered Financial Analyst (“CFA”) Designation. Mohamed is a visiting fellow at the MBA program of the Maastricht school of business (Cairo Campus) and has delivered numerous academic and executives courses in credit risk management, bank management, corporate finance, Islamic finance, financial planning, business administration, human resources, and economics, both inside and outside Egypt. 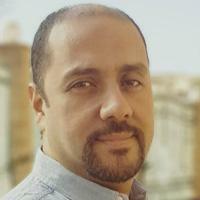 "Hassan Mansi, is an entrepreneur who co-founded training and consultancy firms in Egypt and UAE; coming from an engineering and business background, he managed several organizational development projects using the Lean Six Sigma methodology as well as organizational re-structure for a wide variety of clients, featuring financial institutions, across different countries in the region. He also headed the Youth Committee at Alexandria Business Association, providing training for young entrepreneurs; supported the entrepreneurial movement in the city of Alexandria by collaborating with international programs featuring the USAID and others enabling access to finance for local startups. He received last year his MSc in Technology Commercialization from McCombs School of Business - Austin, Texas and he holds a Bsc in Industrial Engineering & Management from Arab Academy For Science & Technology." 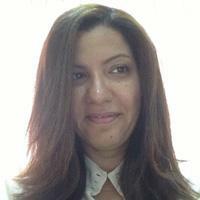 Dr. Dalia Abd-Allah is an Egyptian professional with 15 years of experience in management, business development, business strategy, economics, and international cooperation. She is currently the Head of Business Innovation (BI) support program at the Egyptian German Promotion of Small and Medium Enterprises (PSME). The program mainly aims at supporting services of business innovation institutions targeting growth-oriented start-ups and small businesses in local manufacturing. 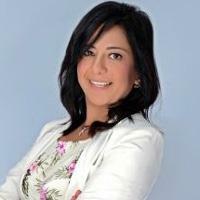 From 2008 till 2015, she managed Danish Business support Program at the Danish Embassy in Egypt, through which she has advised and contributed to the establishment of several Danish Egyptian business partnerships in Egypt in food & agriculture, aquaculture, logistics and transport, consumer goods, ICT, renewables and environment sectors. Previously, she has also worked for 4 years with the Egyptian Minister of International Cooperation as Desk Officer in charge of Egyptian-EU economic cooperation files, including European Commission, European Investment Bank and European Bank for Reconstruction and Development. Dr. Dalia is a Part-time professor of Economics, Industry Analysis and Entrepreneurship to both undergraduate students & MBA and industry professionals. Political Science- Cairo University; from which she earned her Bachelor of Science (B.Sc.) degree in Political Sciences. With almost 20 years of solid experience in the field of IT & PaymentvSystems. Middle ware Integration & Operation Manager in the Central Bank Of Egypt. Fintech & Blockchain Expert & Trainer providing top quality “Fintech”training for Bankers and Financial sector members. 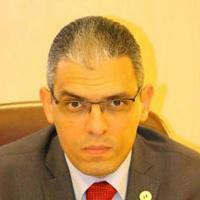 Head of Middle ware Integration Unit in the Central Bank of Egypt. Among his professional milestones; PM for the RTGS, ACH, CCH, ATM systems, Administration, Design and implementation of Middle ware Solution, Digital Financial Services at the Central Bank of Egypt. Head of the Blockchain Task force, Member of the FinTech task force group, Cryptocurrency task force group, Digital Fiat Currency task force group, National FinTech Strategy task force group. His professional training's and accreditation's are MBA in Financial Management, Project Management, TOGAF, ITIL, Leadership & Decision Making (Frankfurt School Of Finance & Management), System Admin, System Solution Design, Future Leaders Program (FLP Alumni of 2016). Hossam El-Gamal the country director of Anghami , is a mechatronics engineer and an MIBA holder with more than 19 years of executive management and consulting experience in strategic planning, marketing, brand management and business development with highly reputable business enterprises. He contributed to building and strengthening several well recognized brands in different industries ,Hossam is and enterprenuer with 3 startups. 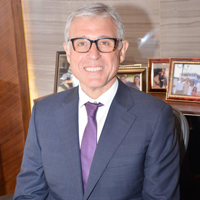 Hussein Rifai is the Chairman and Board Member of Inertia Holding Group (IHG). He was the primary driving force behind forming the consolidated group structure of IHG, which includes Inertia Properties (IP), Inertia Construction Company (ICC) and Aura, this robust corporate structure coupled with the strategic management approach were put together to enable sustainability of growth for the whole group. Prior to the formation of IHG in 2009, Rifai was the Managing Director and partner at Aura Designs from 2002 until 2009, and was responsible of the management of the design studio that delivers a full range of state of the art architectural, interior design and landscape designs. Rifai focused on the identification and acquisition of new business in Egypt, UAE and Libya. Egypt's finest and most prominent business associations with a strong objective to develop communities and networking, with 400 successful businessmen and women from different sectors. Rifai earned a Master of Science in Construction Engineering from the American University of Cairo and a Bachelor of Science in Architectural Engineering from Cairo University. He was also a Teaching Assistant of Construction Engineering in The American University of Cairo (AUC). Inertia’s developments aim to develop and improve unique communities, offering homes with advanced designs to provide a sense of unity and comfortableness. INERTIA was founded in 2007, signified and brought projects of value with remarkable effort in Egypt and will be planning to expand in the MENA region. Experienced Business Consultant with proved history in New Business development, Digital Strategy, Entrepreneurship, and Strategic Partnerships. Lecturer in Finance, Economics & Management. جولات تيكنى هى حدث ليوم واحد على مدار السنة في مدن مصر تهدف لتقوية وتمكين رواد الأعمال في مجتمع الشركات الناشئة. وتكون على هيئة حملة ترويجية تجوب محافظات مصر. نحن نعيش مرحلة حاسمة في مصر مع التطور السريع للأحداث، لذلك فإن الدور الذي يمكن أن تلعبه ريادة الأعمال في مستقبل مصر قد اصبح أكثر وضوحاً. بإرساء المزيد من التعاون في النظام البيئي لريادة الأعمال ، مدفوعاً بكل من الإيجابية ،الإبداع والمثابرة من قبل رواد الأعمال، فإن مصر الحديثة التي نحلم بها جميعاً لابد وأن تتطور لا محالة. ونحن ملتزمون بعمل طفرة كبيرة نحو نظام بيئي لريادة الأعمال في مصر يكون أكثر نضجاً، وذلك بتوفير المزيد من الفرص لرواد الأعمال و انشاء المزيد من الشركات والمؤسسات، مكونين قيمةً اقتصادية ومقدمين حلولاً لمشاكل مصر الأكثر حرجاً وإلحاحاً. كل غرفة كانت مفعمة بالإمكانيات و الأبداعات التى كان لها تأثير أجتماعى عظيم. يا له من فخر التواجد هناك. كان هناك الكثير من التعلم المشاركة و التواصل. ورش عمل و مسابقات ريادة الأعمال سيطرة على أجندة القمة على مدار اليومين بالإضافة لمنح الشركات الناشئة جوائز نقدية و فرص للتواصل مع مستثميرين عالمين.